I had a lot of problems as i tried to reimage a new ODA X7S/M. Here is a short summary what i did to boot the ODA from Iso-Image. 6. Don't touch the BIOS! just let the ODA boot! I made my mistakes in step 6, as i always started the boot selection. Then i did not found the cdrom. That was very frustrating and time consuming. With this method i just described here, it will work hopefully. 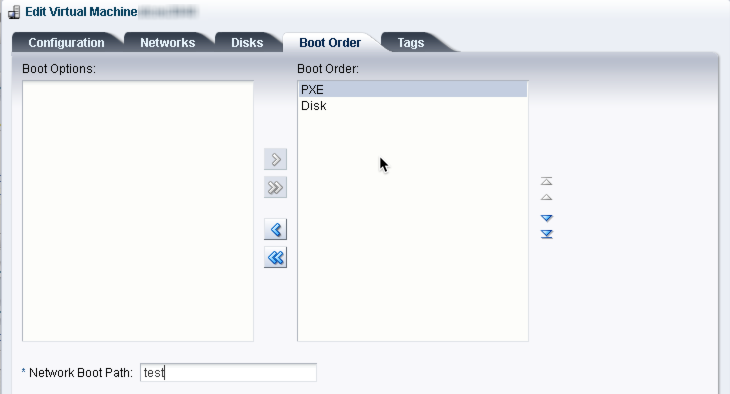 After modifying the vm.cfg directly, Start the VM - SuSE will come up magically! OVM-Webgui will delete the entrys from vm.cfg and will replace it with the default values.